Heading off at 5.25am, a solo bagpiper will lead a short march from Cronulla RSL to the local Cenotaph at Monro Park, where the order of service will begin at 5.30am. 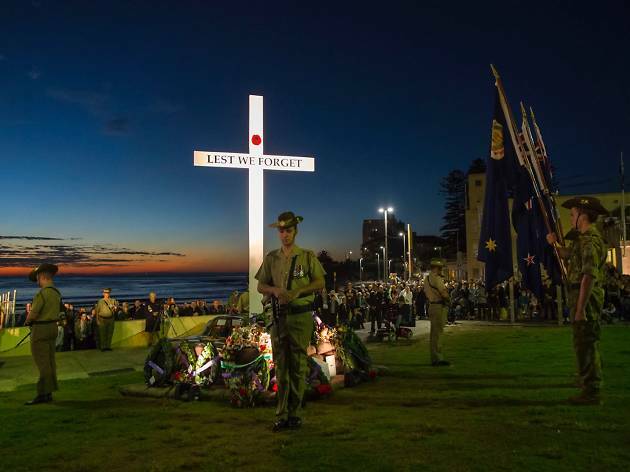 This will include a reading of the ANZAC address, playing of the Last Post bugle call and Reveille and the Australian and New Zealand national anthems sung by 6am. The service, held in the large park just opposite the railway station, generally sees between 6,000 and 10,000 attendees on the grass. 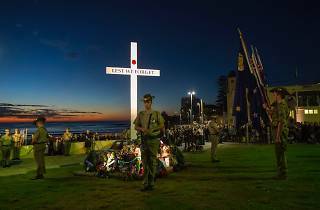 Those driving to the dawn service should aim to arrive before 5am to access street parking and the RSL carpark.